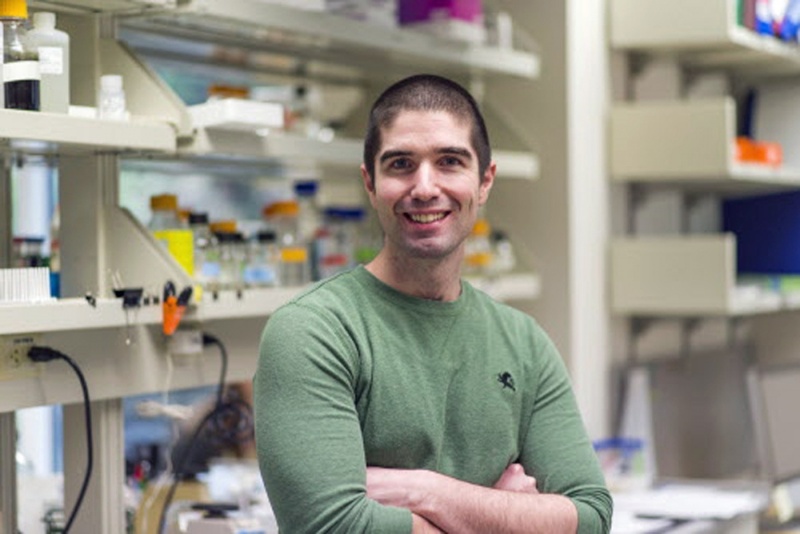 When Jeffrey McKnight began his countrywide job search, he envisioned a position that would allow him to pursue fundamental basic science and apply his background in chromatin biology. Ideally, the job also would provide him with the opportunity to establish a high-level research laboratory and fulfill his longtime desire to teach. McKnight found what he was looking for in the UO’s Center for Genome Function. He is the latest hire in the provost’s Clusters of Excellence Program, which is bringing top-flight researchers in select fields to the UO to address some of society’s most significant challenges. The recruitment and hiring process is complicated. Mostly, it's all about how you time it. The Clusters of Excellence Program supports UO President Michael Schill’s goal to hire an additional 80 to 100 faculty members over the next five years to boost UO academics and research. McKnight won out over more than 250 applicants and is now preparing to join a core group exploring processes that control the function and fate of our genomes. Now a Leukemia and Lymphoma Society fellow at the Fred Hutchison Cancer Research Center in Seattle, McKnight will begin working at the UO in September. The hiring committee for the Center for Genome Function interviewed other well-qualified applicants for the open position, but only McKnight gained unanimous support, said UO biologist Eric Selker, the cluster’s coordinator. “With Jeff there was no arguing necessary, there was no twisting of arms; It was, ‘Yes, get this guy,’” Selker recalled. McKnight brings significant research expertise in the structure of chromatin, which controls the various parts of DNA that can be accessed by different cell types under different environmental conditions, during developmental processes and during other processes such as the formation of tumors. He uses budding yeast cells as a model system that can shed light on human genetics, and he has developed a tool that allows him to control which DNA sequences are occupied by chromatin. One of the only researchers in the world capable of manipulating chromatin structure by design, McKnight plans to further develop and implement his new tool to probe the regulatory mechanisms of chromatin. McKnight’s work straddles chemistry and biology. Ultimately, his position was placed within biology. He also will be tied to the Institute of Molecular Biology. McKnight will work alongside fellow cluster members Selker and Diana Libuda, an assistant professor of biology who opened a DNA research lab in January 2015. McKnight is the first of three hires for the Center for Genome Function. The recent $10 million contribution from Gwen and Chuck Lillis, meanwhile, will enable hiring for the cluster titled Securing National Prominence in Volcanology, Volcanic Hazards and Geothermal Energy. The gift will fund startup costs and includes a $2 million challenge to encourage others to invest in the program. The Lillis gift will endow faculty positions for two expert researchers in the Department of Earth Sciences. Combined with leading volcanologists already on the faculty, along with the recent appointment of volcanologist Thomas Giachetti, the new hires hope to elevate the UO’s research capabilities and prominence in the field. Paul Wallace, who heads the volcanology faculty cluster, wants to secure a specialist in satellite remote sensing and geodesy and another in computational modeling. Once in place, the research group will focus on new technologies to monitor volcanoes and their eruptions to help protect people and infrastructure worldwide. The cluster will get to show its new footprint in August 2017, when Portland will host the annual conference of the International Association of Volcanology and Chemistry of the Earth’s Interior. It’s the first time since 1989 for the conference to be in the U.S. Wallace plans to organize a reception to celebrate and highlight the UO’s new cluster. 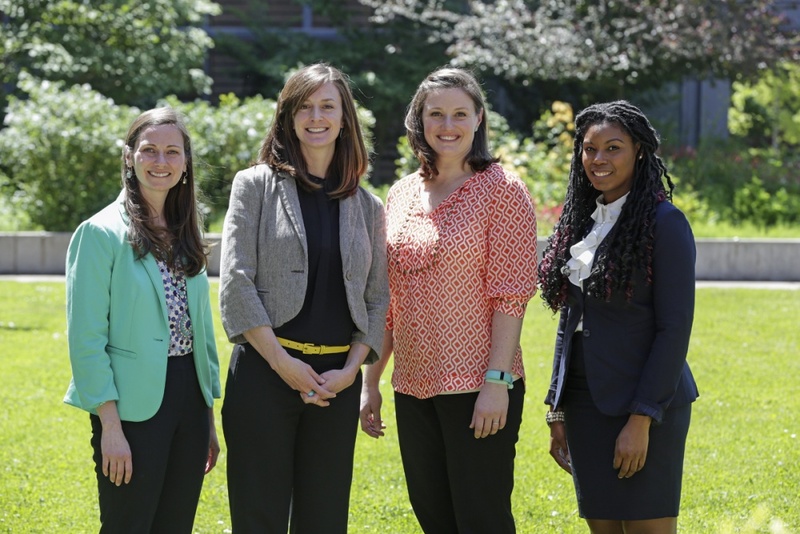 On May 6, four early career scholars hired as part of the Health Promotion and Obesity Prevention Initiative came to campus. The visit provided Nicole Giuliani, Elizabeth Budd, Tasia Smith and Nichole Kelly the opportunity to meet their new colleagues, have lunch with the president and discuss their research at a miniconference that drew more than 100 people from campus and local schools. This obesity prevention cluster, which received $20 million in philanthropic support in November 2014 from UO alumna Connie Ballmer and her husband Steve — builds on the UO’s strengths in prevention science and biological systems and responds to the epidemic health crisis of obesity in the U.S. that affects a third of the population. The visit emphasized the areas of expertise of the new hires and made clear some of their overlapping areas of interest, Stormshak said. Adolescent health promotion was one area of common ground, along with an interest in some of the ways adolescents regulate their own behavior. Searches for two more hires in the cluster — one in biology and one in human physiology — are ongoing. The Department of Biology is seeking a human geneticist, which is being combined with two existing open lines to create a minicluster of three human geneticists, said Bill Cresko, professor of biology. The Department of Human Physiology has identified a candidate for its open position and is hoping to move forward with a targeted hire in the near future. Hiring activity continues in the UO’s other funded clusters. The cluster in energy and sustainable materials, led by Shannon Boettcher of the Department of Chemistry and Biochemistry, has extended active offers and is in negotiations for two of three positions. The initiative resides in Boettcher’s department, the Materials Science Institute and Department of Physics. Searches are also underway for two internally funded positions in the Neurons to Minds Initiative, co-directed by biologist Chris Doe and psychologist Ulrich Mayr. The Neurons to Minds Initiative will add additional positions, creating a team of neuroscientists from different levels — three faculty members with a focus on systems neuroscience and two faculty members with a focus on cognitive neuroscience. In addition to bridging systems and cognitive neuroscience, the cluster seeks to encourage fundamental and translational neuroscience research via collaborations with the College of Education, Department of Physics and Department of Chemistry and Biochemistry.